In June we returned to Sicily. We first visited Sicily three years ago on our honeymoon, and it's still one of our dearest travel memories. Back then, we traveled from Palermo to Cefalu, over Madonie mountains to Taormina, then climbed the Etna, spent a couple of days in Modica visiting the baroque towns of Val di Noto, followed the archaeological trail to Agrigento, bought some ceramics in Sciacca before returning to Palermo and flying back home. 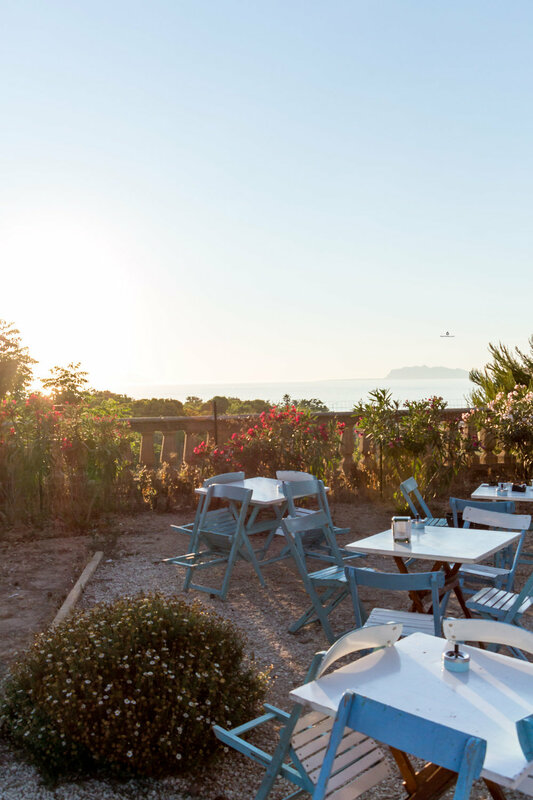 This time we wanted to explore Western Sicily, especially the island of Marettimo, inspired by Jamie Oliver's series Great Italian Escape. 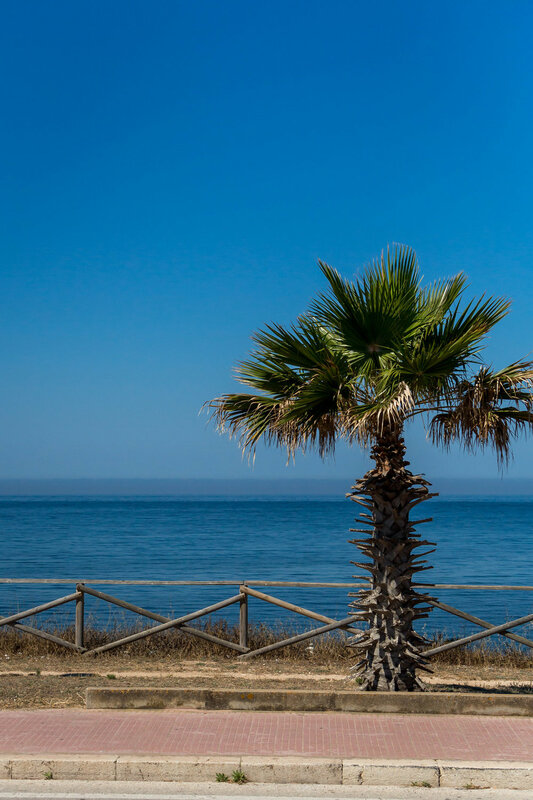 We started with three days stay in the city of Marsala and a daytrip to Mazara del Vallo and Porto Palo beach, then headed to the port of Trapani from where we took the speedy boat to Marettimo and stayed there for another three days. On our way back we visited the hilltop town of Erice and spent our last two days in touristy but quite impressive Castellammare del Golfo. Marsala is mostly known for its sweet dessert marsala wine, and as a place where Giuseppe Garibaldi started the process of Italian unification. (Once in Marsala, you will easily notice that every other bar, restaurant or kiosk bares Gaibaldi's name). The town exceeded my expectations by far, due to its always present sea breeze, golden hued baroque buildings, delicious sweets and lively beat of the streets. Once in Marsala, we immediately switched to Italian state of mind, sat in a bar, ordered two focaccias and a couple of sweets filled with ricotta and wild strawberries (how good was that), and waited for our host to show up. Without pressure, our holiday truly began. The apartment was one of the most amazing AirBnb's we've ever stayed at (and this is not a sponsored post), its biggest advantage being beautiful, spacious terrace overlooking the main square and the cathedral. We spent quite some time there, relaxing in deckchairs, munching on Sicilian sweets, fruit and the granita al limone our host made for us. In the evening we would open a bottle of wine and listen to the evening sounds of the city, or watch the locals at their daily passegiata, a lovely Italian practice of taking a stroll in the evening. 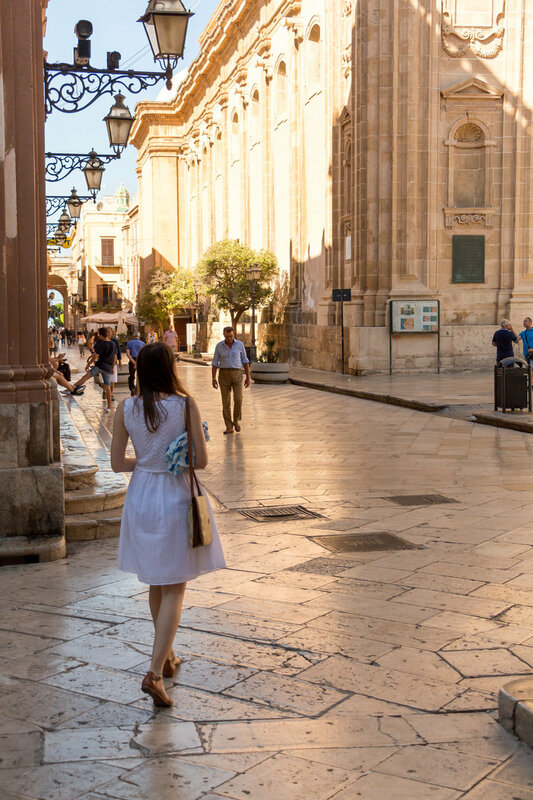 Marsala's city center is small enough to have the main sights, restaurants and bars within couple of minutes reach, but big enough to feel like you would like to stay longer than three days we had there. On our first evening, we took a walk in the Villa Comunale Cavallotti park, simply called Villa by the locals, and enjoyed a beautiful golden hour among its palm trees, giant Moreton Bay figs, flowery bushes and fountains. One thing we were really excited about was tasting the Sicilian cuisine again. That evening we dined at Assud Porta Nova, a cozy little restaurant about a minute walk from the park. Spaghetti with pistachios and famous Sicilian gambero rosso prawns (one of my favorite tastes of all time), tuna steak, Sicilian salad, grillo and marsala wines won us over. The music was good, the staff so friendly and welcoming that we went there two more times (third time greeted like friends, and regaled with "sconto fedelta", or loyality discount). A smart detail was a glass bottle of filtered water on each table with an explanation that water should stay a common good, available for everyone, without a price tag to it. A restaurant to my taste! Sicilian sweets might be the best in the world as far as I'm concerned, and we arrived to Sicily determined to indulge on a daily basis. There was a simple pasticceria called Dolce Tentazione (Sweet Temptation, and what a convenient name) that makes the best cannoli (crunchy pastry rolls filled with ricotta cheese) and genovese (custard filled pastries). We would buy the sweets and have them on our terrace each morning. When we first entered Dolce Tentazione, we engaged in an interesting conversation with the owner and the funny older gentleman (presented as Mr. Bean by the owner) about Croatia. We were asked many questions about our country, and eventhough we did our best to explain everything in Italian, their general conclusion was: That we were playing football that month against Iceland (true), and that we were once part of Yugoslavia (true), along with Ukraine, Romania, Bulgaria (false, but we didn't tell them that). On our second day we explored the center- its churches, a former monastery, little local museums, and a very interesting Museo Archeologico Regionale Lilibeo, its prize exhibit being the reconstructed remains of a Punic ship. As an art historian that used to work in archaeology, I found the rest of the exhibits interesting as well- Roman sculptures and temple remains, mosaics, amphoras and ceramics all telling the long history of the area. 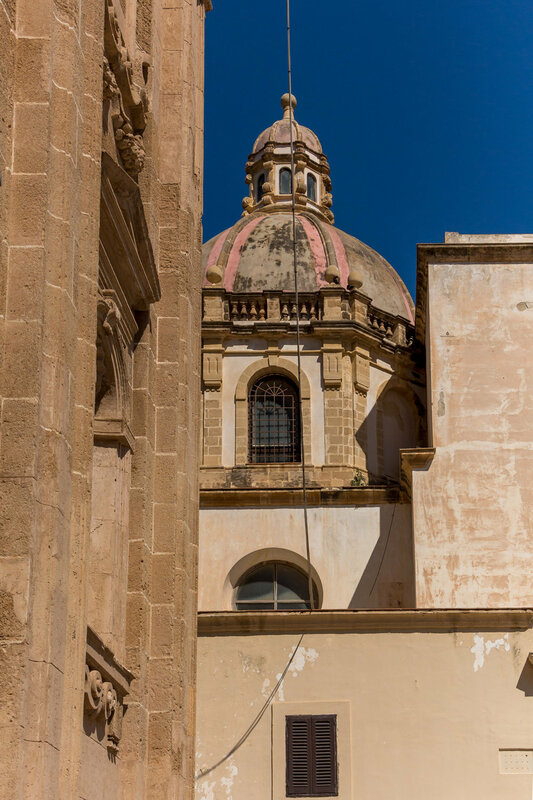 I loved Marsala's architecture and urbanism- its regular street layout, lush baroque churches and palaces, the golden colour of the stone, sometimes in combination with white washed walls, polished cobbled pavement and hidden courtyards with trees and fountains. I also loved the buzz of the streets and how most of the social life takes place there- on the market and the main square, wherever there's a place to sit in the shade. We visited the market that day as well, just to marvel at the brightest coloured vegetables and glittering fish, and to soak in the sounds and the everyday talks. The fish vendor caught our eye, and eventhough he looked effortless and indiferrent while posing for photos, in reality you could see how proud he was of his fish, of how peopled reacted to it. He also threw in some football talk with the locals and a couple of Sicilian gestures, which was a perfect scene for a little project of ours (more about that at the end of this post). Foreign tourists in Marsala in June are not that often (there were however Italian tourists), and we felt quite exotic- everywhere we went, museums, restaurants, bars, people would ask us where we came from, how did we like Sicily, how long were we staying, and showed general kindness and friendliness to us. In the afternoon we went wine tasting at Cantina Fodera, a family owned winery at the outskirts of the city. We were shown around the property and the cellars and explained about the process of wine making by a darling father and son duo. From the wines we tasted, we particularly liked the grillo, a Western Sicilian sort of white wine and the merlot tardivo, a sweet dessert red wine made out of the grapes left to dry in the sun for 12 days after the harvest. I am far from expert in wines, but I can recognize a good wine, and that merlot was one of the most specific, delicious wines I've ever tasted. There was another, Italian group from Bologna, that proclaimed the merlot to be oro nero, or black gold, and we could only agree. One of them even stated that when the time comes, he would like to leave this world dipping a cantuccino biscuit in a glass of it! We bought three bottles that made their way with us to the island of Marettimo, where we enjoyed them every evening on the rooftop of our b&b. Happy times! On our last day in Marsala, we made a daytrip to Mazara del Vallo, planned but not succeeded to visit temples in Selinunte, and spent a beautiful afternoon on the beach of Porto Palo, followed by a delicious dinner at famous Da Vittorio restaurant. I will write about it in my next post. We returned quite late from that daytrip, only to be greeted by a midnight dance gathering on the main square. And around the corner, a street music performance by a local band gathered an eclectic crowd seriuosly in the mood for singing and dancing. There was Bob Marley along with traditional Italian songs, and older gentlemans channeling young hipsters in dance moves. It was one of the most fun evenings of that trip and a perfect ending to our time in Marsala (we did however crash a wedding couple of days after, more about that soon).